Hey guys Ria did my make-up with one of my shoots before She has been doing this her whole life I believe. Click here to go to her blog and be informed about her tips about makeup. 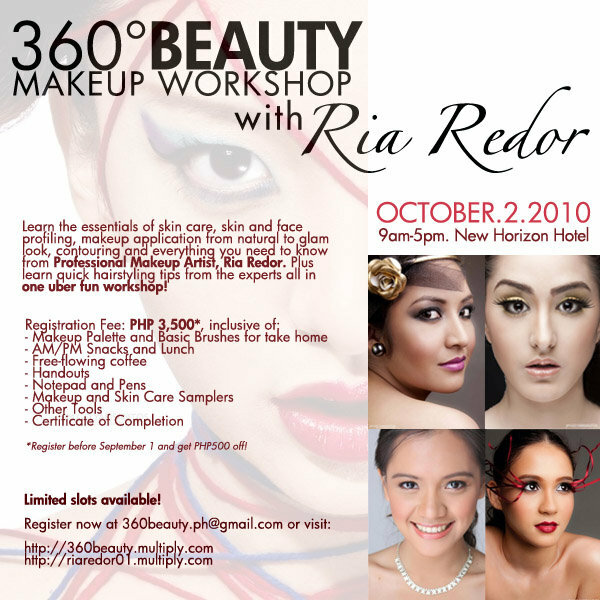 Learn the essentials of skin care, skin and face profiling, makeup application from natural to glam look, contouring and everything you need to know from Professional Makeup Artist, Ria Redor. Plus learn quick hairstyling tips from the experts all in one uber fun workshop! -Â Â Â Â Â Â Â Â Â Limited slots available!